In 2013 we went to Israel for the second time to visit the activitities related to Independence Day celebrations in the country. 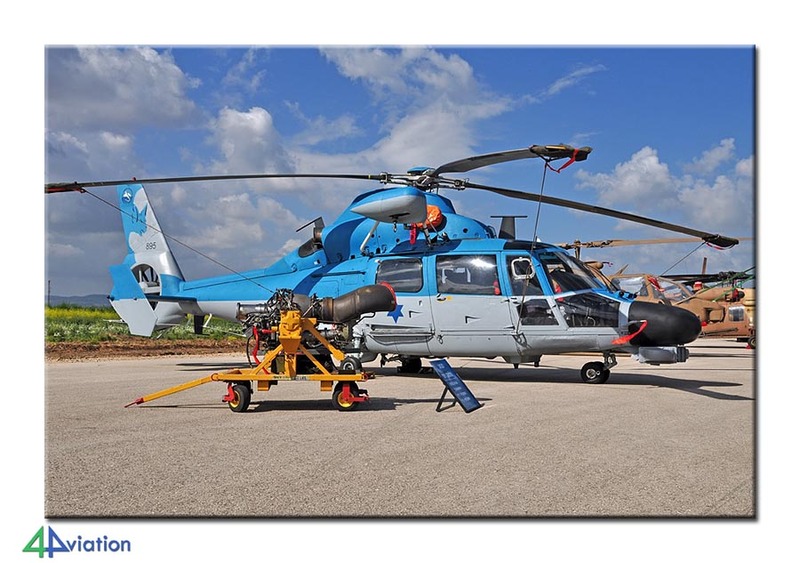 A large group of photographers joined 4Aviation this time. The majority of the 34 participants to 4Aviation’s second tour to Israel gathered at Brussels airport during the afternoon of Saturday 13 April. All participants showed up on time so we could check in well in time for our Brussels Airlines flight to Tel Aviv. At the airport of Tel Aviv another four people joined that had travelled to Tel Aviv on their own. Yet another four went to the hotel directly. At the airport all procedures were concluded smoothly so we could board the coach to the hotel at 01.30 in the morning. On arrival at our hotel in Netanya the keys were already waiting of us. This was needed, since we had to get up for breakfast at 06.30 on Sunday. Sunday is the first working day after Sabbath and we wanted to be at Hatzerim on time. After having breakfast, during the morning of Sunday 14 April we travelled to Hatzerim near Beer Sheba, passing the morning traffic of Tel Aviv. 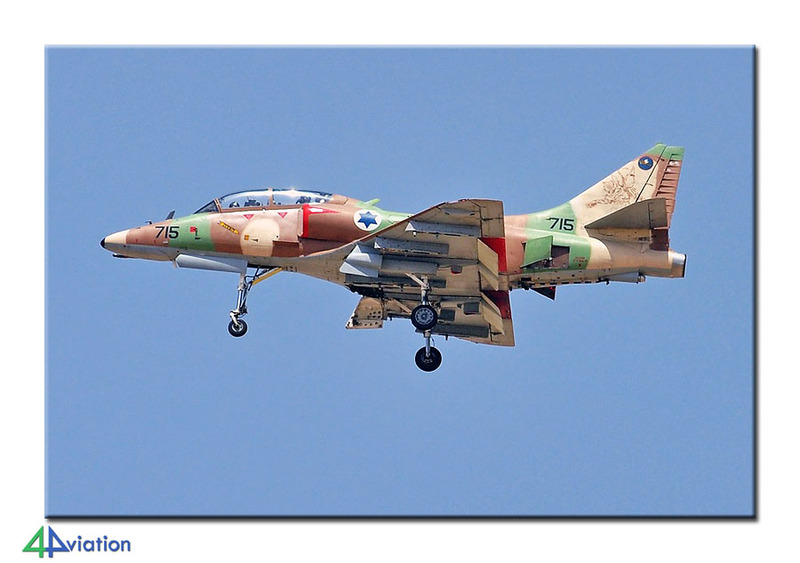 On arrival at Hatzerim, around 10.00 o’clock, we saw several Skyhawks returning to the base. 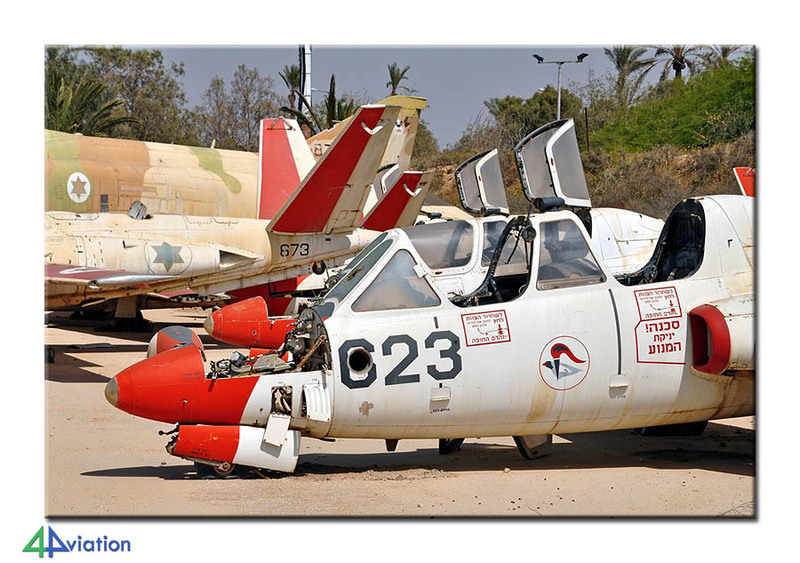 The deal was to stop at the museum to drop off those that preferred going there and offer the others the opportunity to take pictures of the aircraft that were recovering. 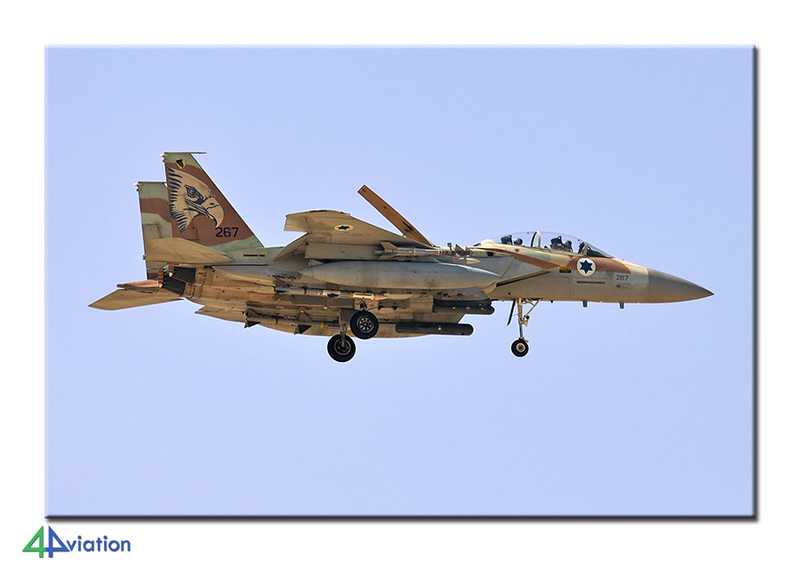 The approach is far from ideal at Hatzerim but you do not get to see and capture Israeli Air Force aircraft every day. 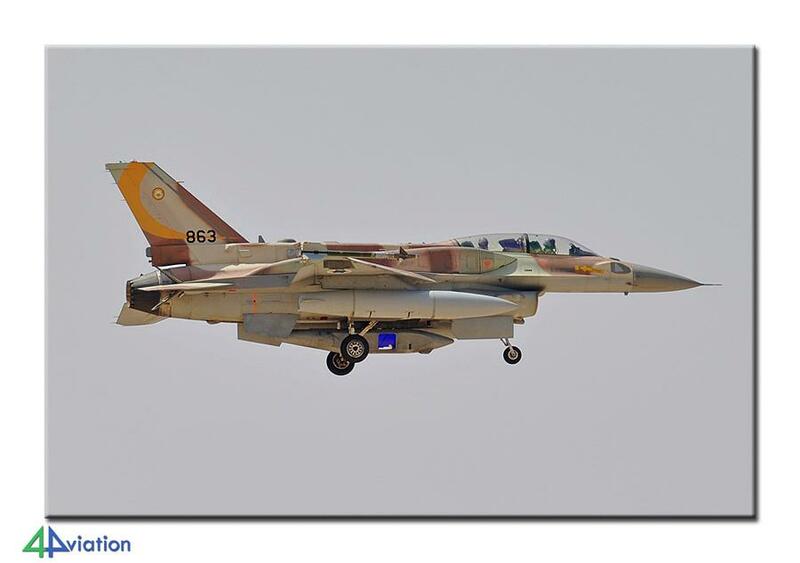 Almost 75 sorties were flown in a three hour period by roughly 50 different fighters. 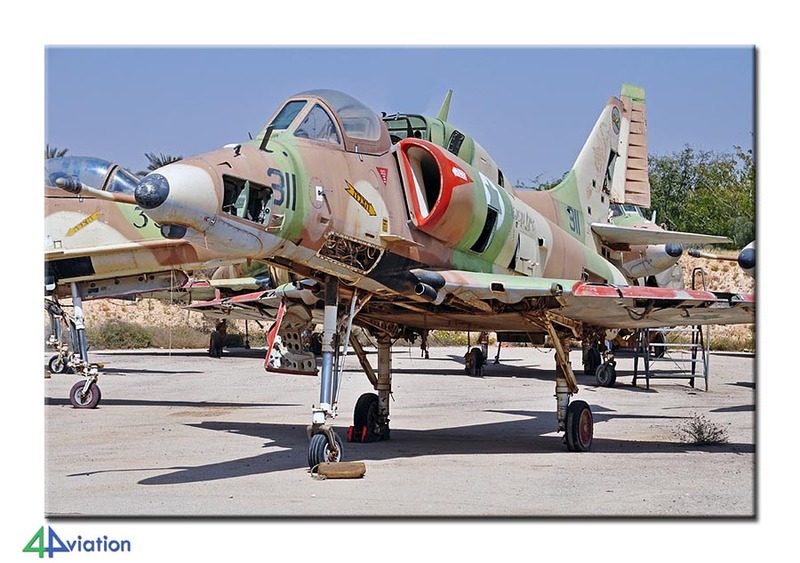 The T-6 Efroni aircraft didn’t fly this day. Halfway during our stay the coach commuted from the approach to the museum so all had a choice on how to spend their day. Since operational activity stopped around 2 o’clock in the afternoon the final hours were spent in the museum by the entire group. Because of Soldiers Remembrance Day all restaurants were closed from 8 in the evening. We therefore enjoyed an early dinner in Beer Sheba before returning to our hotel in Netanya. The alarms went off throughout the entire country at 8 o’clock. It was an impressive sight to see live come to a standstill in whole of Israel. Even all traffic on the highway, including our coach, stopped. After a well-earned beer in the lobby of the hotel all went to bed early this evening! Monday 15 April was a relaxed day and we left the hotel at 9 o’clock. The main target for the day was the family/press day at Tel Nof but we could only enter that at 3 o’clock in the afternoon. To pass the time we started with a visit to Sde Dov in the morning. 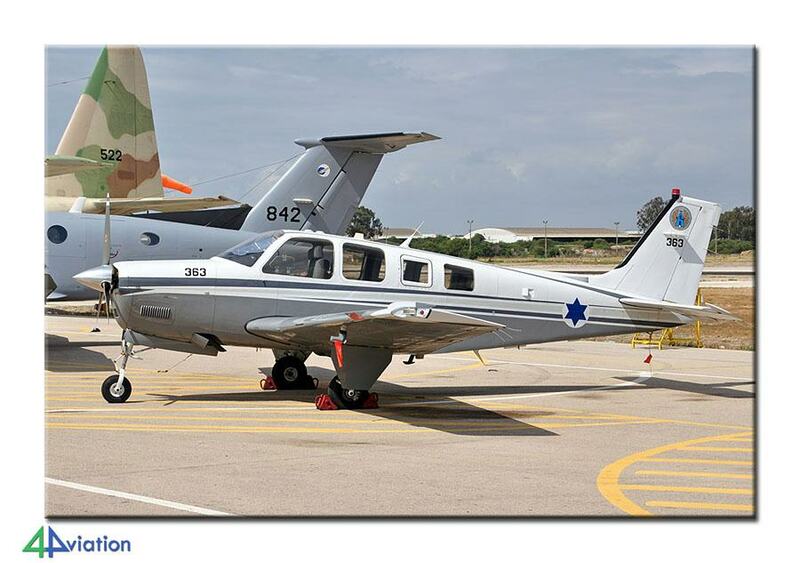 Sde Dov is combined civil and military airport. It is situated along a promenade that offers perfect views of the runway. After an hour we went to Holz Technical College that holds a number of instructional airframes. Holz is a training centre were many young military personnel (but also civilians) get their training. After capturing the preserved and instructional aircraft we were invited to attend the memorial service. This impressive service is to remember all military personnel that enjoyed their training in Holz. After Holz we spent some time in a park for lunch. 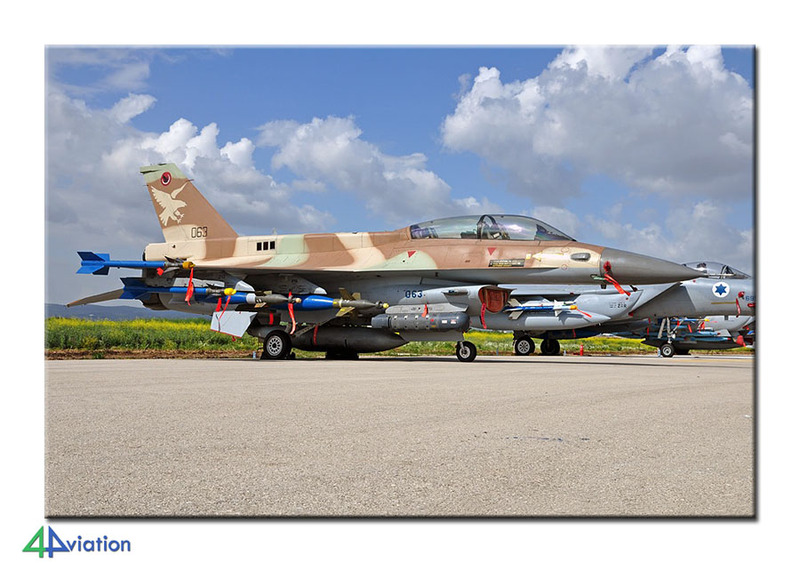 We arrived at the air base of Tel Nof in time and our guides were already waiting for us. The entry procedure was much more relaxed than one would expect and not much later we were walking near the static line. This contained about twenty aircraft and helicopters all shining brightly in the sun. Despite ropes and the large number of people it was possible to get decent shots (patience and inventiveness did the trick). Around 1800 PM we left the base with a smile and headed for Netanya again. It turned out that most restaurants were closed for the evening. Luckily all eventually found a place to eat. 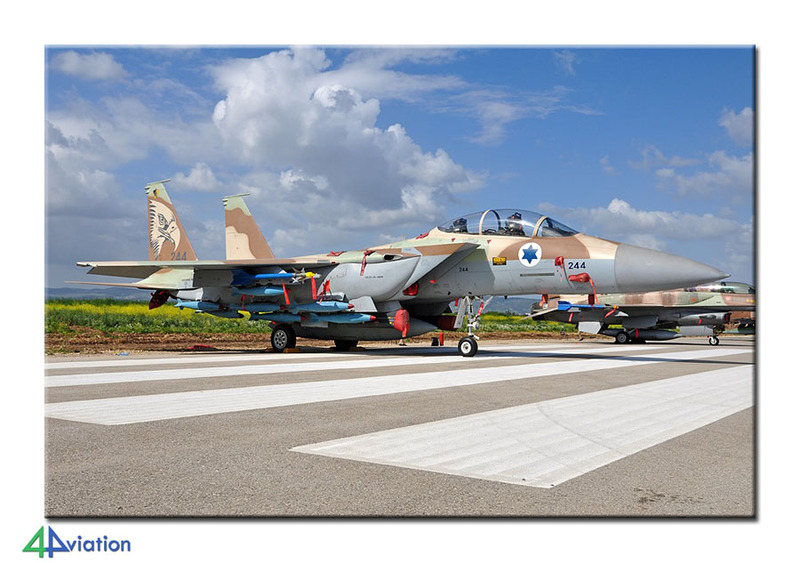 The next day (Tuesday 16 April) was Independence Day and on this day the air bases of Tel Nof, Ramat David and Haifa are open to the Israeli public. Since we had some driving to do to get to Ramat David we left the hotel at 7 in the morning. Ramat David is located near Bethlehem in the North of the country. On arrival we were surprised to find out that parking was on one of the runways of the base. The tour on the base brought some extra aircraft and helicopters. The static show was comparable to the one at Tel Nof. 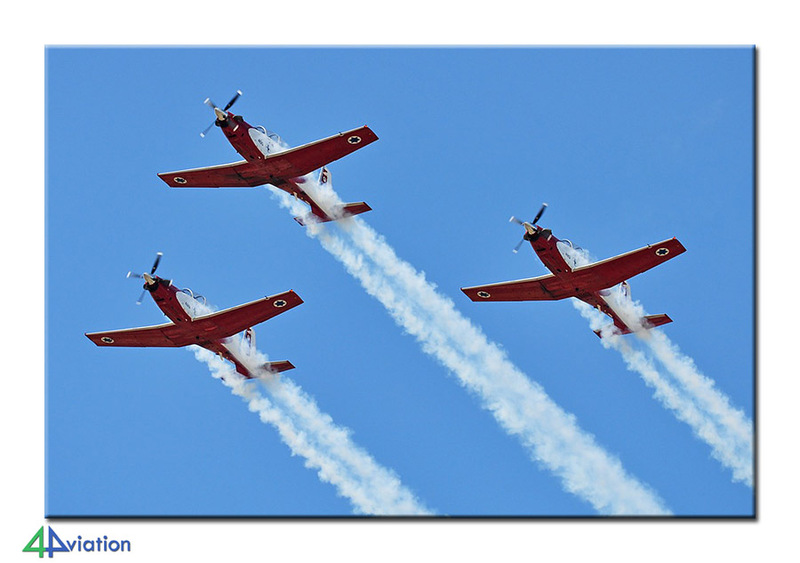 But, at Ramat David some flying activity took place. 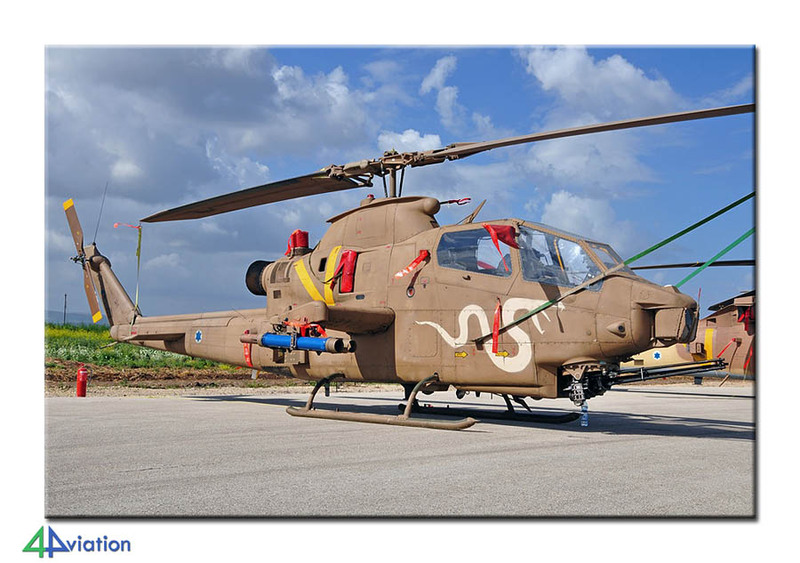 Four F-16s flew twice, a SA565 Atalef helicopter flew, the demonstration team with four T-6s gave a display and there was a flypast of 22 aircraft (several different types took part). Despite the somewhat gloomy weather forecast, the weather turned out to be quite fine and the clouds that were present offered a fine background for the photos. 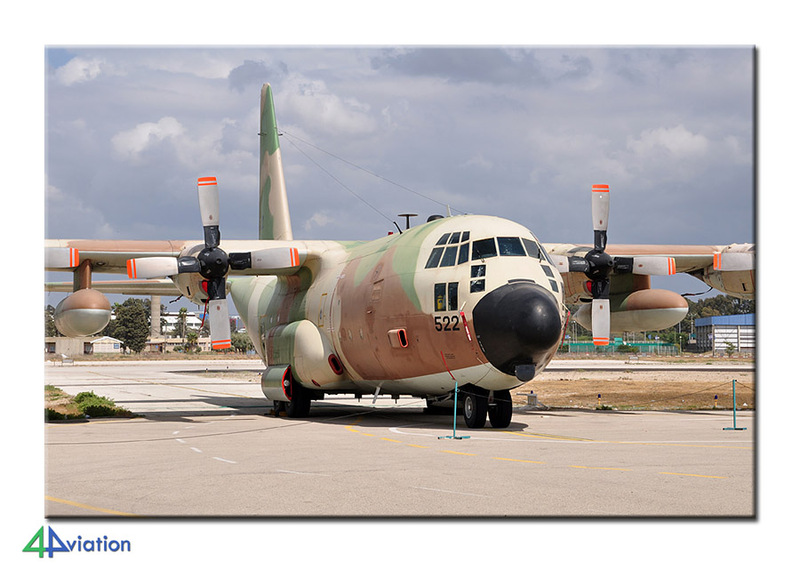 Since we were parked on base our departure appeared to be quite a challenge and we arrived at Haifa half an hour after it was closed. Luckily we met a charming press officer that was willing to show us around and to capture the static aircraft. Since no other visitors were present anymore, they could not get in the way! At around 4 o’clock in the afternoon we thus ended our official part of the tour. After visiting some wrecks and relics we ended up at Sde Dov around 7 in the evening to enjoy dinner before heading to the airport. Along the way dropped off some people at the train station. After a relaxing evening in Sde Dov we went to Ben Gurion airport late in the evening. After the security check at the airport we flew back to Brussels during the night. We arrived there the next morning (Wednesday 17 April) around 05.30 in the morning. All participants were very happy with the end result of the tour. 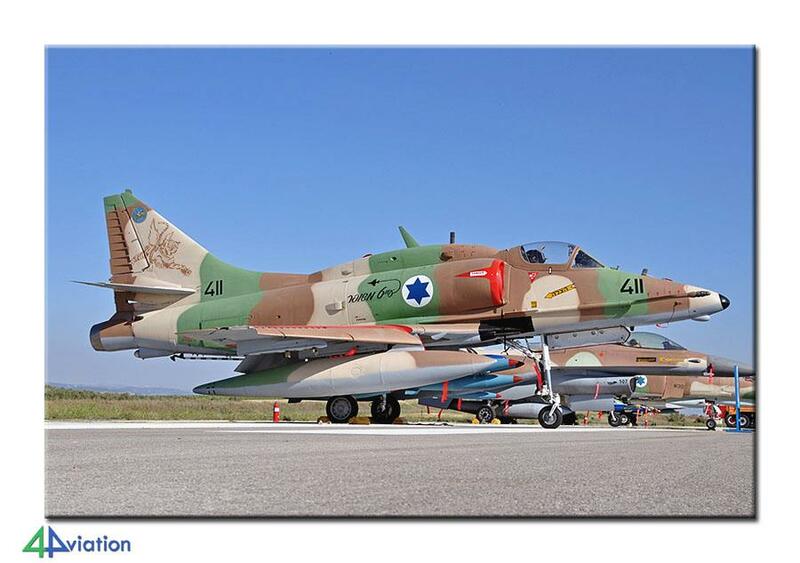 After saying goodbye to each other the second 4Aviation tour to Israel ended.